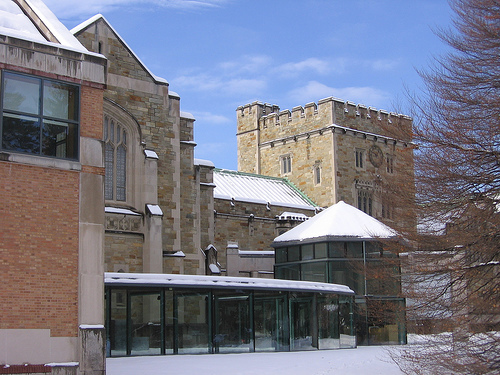 "Join BGHV as we spend a night 'out' at the recently renovated and reopened Frances Lehman Loeb Art Center on the campus of Vassar College from 5pm to 10pm on Thursday, April 14th. The Frances Lehman Loeb Art Center has a permanent collection that spans antiquity to the present, including works by O’Keeffe, Dürer, Cole, Church, Rembrandt, Pollock, Warhol, Calder, Matisse, Rothko, Steiglitz, Munch, Inness and many more well known artists – both gay and straight! Vassar students will be providing the entertainment through a variety of their campus a capella groups. In addition to enjoying the art, we’ll be signing up walkers for the Hudson Valley AIDS Walk on Saturday, May 7th. You’ll also be able to pick up your fundraising kits right there on site. Following the event, join the party at Babycakes starting at 9:30pm where Gay Night will be making a One-Night-Only move from Wednesday to Thursday! Ryan and Josh will be serving up the beats, and Gary will be mixing-up the cocktails – so come on out and have a drink with your friends!"